Disclaimer: This may spoil you if you haven't seen the movie yet. 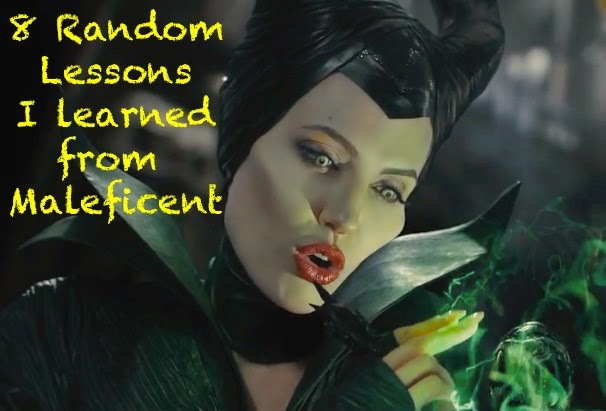 I have always known Maleficent as a very classy villain with poise and grace, who still knows when to laugh, even though it is completely scaring the nerves out of the people around her. 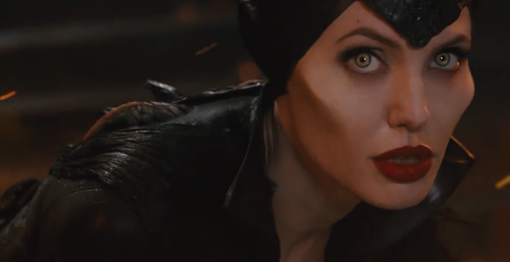 There is something majestic in her, and she has been one of the memorable villains of all time. 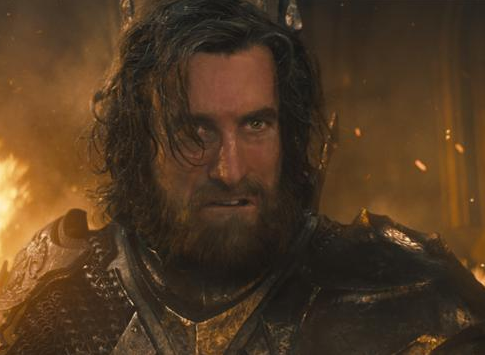 Now that she is portrayed in the big screen by Angelina Jolie in an unexpected exposure of what they claimed to have been the "real" story, I just started to fall in love with this villain more. 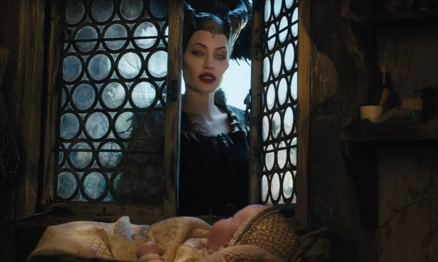 Both a villain and a hero, that is indeed magnificent, Maleficent. Of course, some people disliked the twist of events, and some people loved it, depending on how they actually wanted the Sleeping Beauty story to run. It's like accepting a big change in the society. That is how it has been touching the viewers' emotions since the movie came out. However, for me, though I felt bad at first that the story completely shattered what I thought was the story, I am happy that it turned out that way. It gave us a chance to see the soft side of this great villain, and how she managed to go through the darkness. How bad did you feel when Stefan did what he had to do for him to achieve his greatest dream? 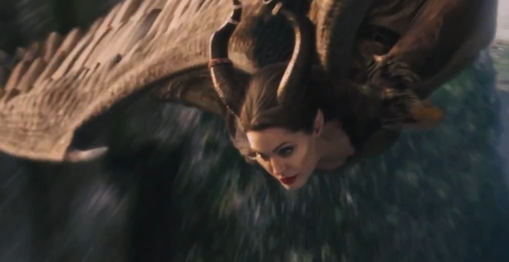 But what I liked the most with how Maleficent was portrayed was despite her anger and vengeance, her natural inner kindness still manages to seep through. 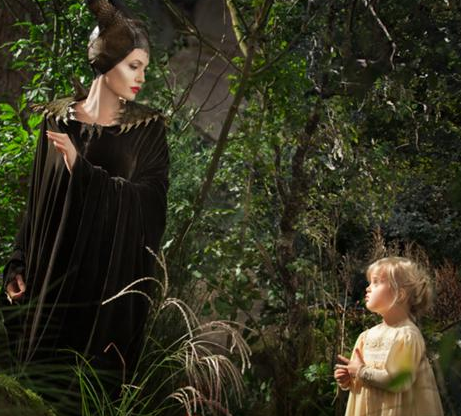 We never knew the deep reasons why she placed that curse on Aurora before this movie came to be. In this movie, we saw her weakness and pain which led to regrettable actions that could not be undone by any other power. She even had a makeover after her heartbreak (sounds familiar?). Nonetheless, behind the strong and apathetic facade she puts on was a woman who had to deal with great pain. 2) Anger causes regrettable actions. Here is a story about acting on impulses when you are angry. It can cause great despair, and you may regret it. However, we all know her answer to correcting her mistake...TRUE LOVE. Love is the answer to healing wounds. Cheesy much. 3) True LOVE is not always about PRINCES and PRINCESSES. I loved this part. It was a bit predictable, but I was happy that it happened. It's about time (after Frozen) that TRUE LOVE shows up in a form of MOTHERLY LOVE. I felt terrible when Aurora meant nothing to Stefan. REALLY TERRIBLE. 5) Greed poisons you and will destroy you in the end. Seriously, Stefan? However, this is a reality in our society now. People will take advantage of other people for their own good. They may give you so much pain, but remember, on their end, they are getting clouded by their past actions. Their action will always have a consequence, so hold on to love and selflessness, and you will be rewarded with more happiness. 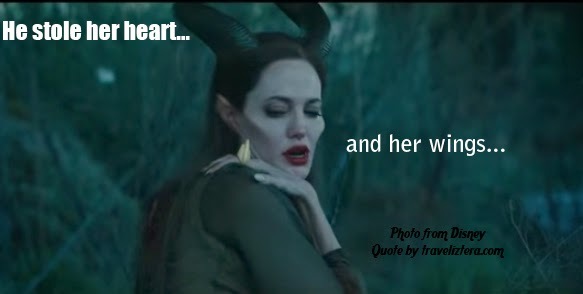 Maleficent did. 6) Envy destroys a good relationship. 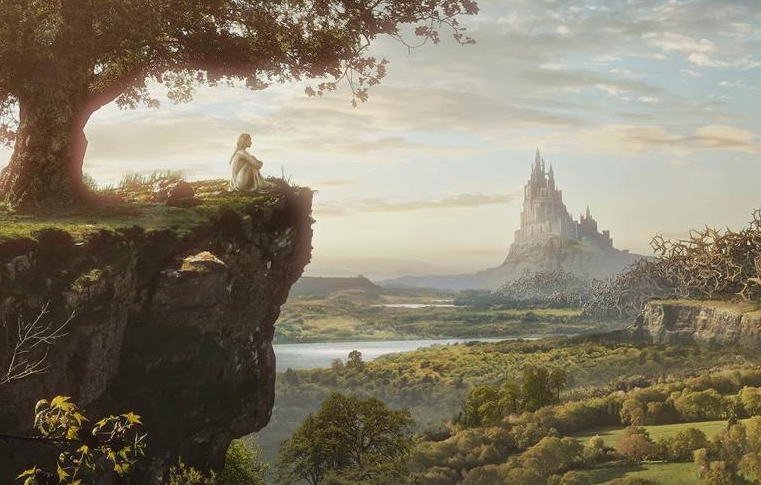 This has been emphasized in the movie's image of the two separated kingdoms. Instead of being more effective and happy with unity, they were separated, and one kingdom even wanted to destroy the other because they wanted to be the most powerful. This caused so many tragedies, and this happens in real life too. 7) You can be a villain and a hero in this lifetime. In life, we are not perfect. Sometimes, we may be a villain to other people, because we are protecting ourselves. Sometimes, we are a hero to some, because we have brought them happiness. In the end, it is always a matter of choice. I just hope that when you do become a villain, it's the type wherein you are not hurting other people, but more of just a villain to them because you do not agree with their views and beliefs that may be destructive. 8) Hi Catwoman! Anyone can wear a catsuit. All photos were from http://disney.wikia.com/. Aw thanks for sharing your thoughts! Hehehehe! So many of these are very true, we can learn a lot!